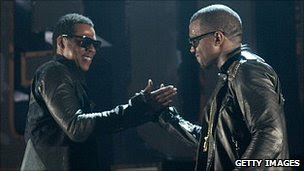 The recently-released best­selling rap album Watch The Throne, from hip-hop giants Jay-Z and Kanye West, is one of the first albums to not have any songs ‘leaked’ prior to its release. The prob­lem of online leak­ing, in which songs not yet released by its authors are stolen and put online on music-ripping sites and social net­work­ing sites, is a huge one for music artists and their pro­duc­ers. Read what more and more stars are doing to pre­vent online leaks. Full arti­cle here on BBC News. Avail­able for rent in Red­box is the surf­ing flick Soul Surfer, the film released in the­aters this year based on the inspi­ra­tional true story of thirteen-year-old surfer Bethany Hamil­ton, who in 2003 lost her arm in a shark attack. Amaz­ingly, she went back to surf­ing less than a month after the acci­dent. The PG-rated film stars Anna­Sophia Robb as Bethany, with Den­nis Quaid and Helen Hunt as her par­ents. Did you watch Soul Surfer? What did you think of the movie? Leave your com­ments below! 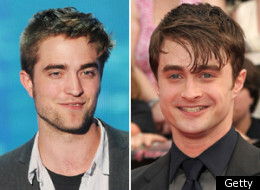 Daniel Radcliffe doesn’t envy Robert Pattinson — surprise? Accord­ing to Huff­in­g­ton Post, Daniel Rad­cliffe — after hav­ing spent ten years of his life play­ing Harry Pot­ter, the Cho­sen One — doesn’t envy for­mer co-star Robert Pat­tin­son, the star of the Twi­light movies. The two British actors, who both starred in the fourth Harry Pot­ter install­ment (Pattinson’s char­ac­ter died a tragic death at the end of the film), rose to fame quite dif­fer­ently, Rad­cliffe says. Daniel Rad­cliffe is cur­rently star­ring on Broad­way and is star­ring in the hor­ror thriller The Woman In Black, to be released in the­ater Feb­ru­ary 2012. As for Pat­tin­son, he’s wrap­ping up his Twi­light fran­chise, start­ing with Break­ing Dawn, to be released in November. What do you think of Rad­cliffe and Pat­tin­son? Leave your com­ments below! So the MTV Video Music Awards are air­ing Sun­day the 28th, live from the Nokia The­ater in LA — are you watch­ing? Mon­goose will be cov­er­ing the event, though he will be skip­ping MTV’s kinda vul­gar ads ((Jer­sey Shore? Get me away from them!) for some­thing bet­ter dur­ing the com­mer­cial breaks. Teen pop star­let Selena Gomez is host­ing the awards pre-show, which mean start­ing from 8pm ET she’ll be stand­ing on the Red Car­pet chat­ting with fel­low celebri­ties. At 9pm, the show will open with a per­for­mance of her newest sin­gle “You And I” by Lady Gaga, from whom we’re all expect­ing some­thing weird and weirder, based on her per­for­mance from last year and her dis­gust­ing meat dress. Also per­form­ing (announced so far) is Lil Wayne, Chris Brown, and Adele. A huge num­ber of pop­u­lar artists are nom­i­nated, like Katy Perry, Bruno Mars, Brit­ney Spears and a host of other singers whom we’ve been hear­ing all sum­mer on Top 40 sta­tions across the coun­try. Speak­ing of Brit­ney, she’ll be hon­ored with a spe­cial video trib­ute. Learn more here on the offi­cial MTV website. Are you watch­ing the VMAs? Leave your com­ments below! Accord­ing to MTV News, Selena Gomez wowed the crowds who attended her NJ con­cert Sat­ur­day night, her lat­est stop on her We Own The Night con­cert tour. The teen star­let and girl­friend of Justin Bieber will also host the MTV Video Music Awards red car­pet pre-show next Sun­day, the 28th, at 8PM ET. Did you attend a Selena Gomez con­cert? What did you think of it? Leave your com­ments below! The Glee Project, the sing-dance-act real­ity show on Oxy­gen, in which the win­ner would win a seven-episode arc on the hit show Glee, has crowned on Sun­day its first ever win­ner — or win­ners. Ryan Mur­phy, the cre­ator of both shows, has cho­sen two of the young final­ists — Samuel Larsen and Damien Mcginty — to each win a seven-episode arc, while the two runner-ups, Lind­say Pearce and Alex Newell, will also each star in a pair of episodes of Glee. So everybody’s a winner. Here’s an arti­cle with all 4 final­ists being inter­viewed pre-Sunday night finale. From left: Samuel Lar­son, Damien Mcginty, Lind­say Pearce, Alex Newell. I, Mon­goose, never watched the Glee Project, though I do watch the mother-show, Glee., and find it enter­tain­ing and totally weird at the same time. Mon­goose didn’t bother with THE GLEE CONCERT MOVIE IN 3D(!!!) due to its neg­a­tive reviews. Did you watch the Glee Project? What did you think of the win­ners? Leave your com­ments below! The Glee Project, the sing-dance-act real­ity show on Oxy­gen Net­work in which the win­ner will get a seven-episode arc on the hit show Glee, crowned a win­ner on Sun­day — or more like winners. Ryan Mur­phy, the cre­ator of both shows, has cho­sen as win­ners Damian Mcginty and Samuel Lar­son, two of the young final­ists, to each star in a seven-episode arc — while the two other runner-ups — Lind­say Pearce and Alex Newell — will appear in a pair of episodes of Glee. So everybody’s a win­ner in some sort. 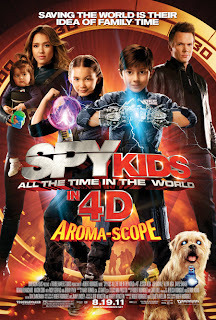 One of the many films released this week­end is Spy Kids: All The Time In The World — In 4D, the fourth install­ment in the series. 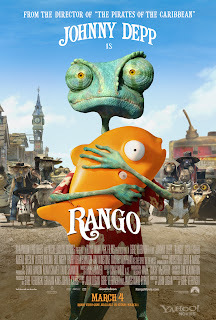 Once again directed by Robert Rodriguez and star­ring Jes­sica Alba, the PG-rated film gen­er­ated less-than-brilliant reviews, sink­ing low in the week­end box office. The 4D, which is basi­cally 3D plus Aro­mas­cope scratch-and-smell cards, was rated unnec­es­sary and tacky. So what is exactly Aro­mas­cope? 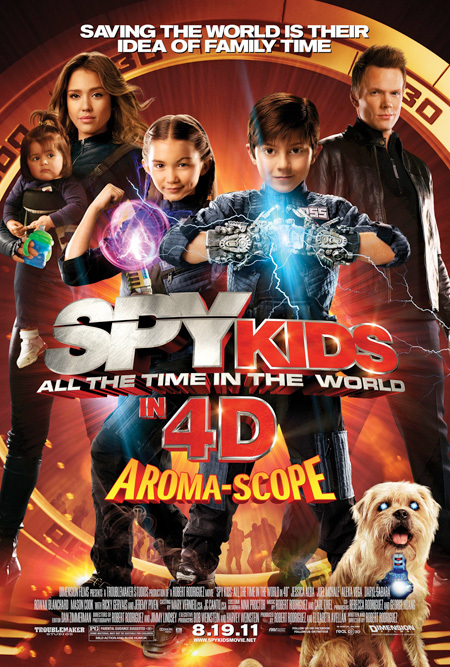 Here’s an offi­cial descrip­tion for Spy Kids 4. It seems already like a bad idea. Tear­ing your eyes away from the screen, break­ing the immer­sive “magic” of the film to scratch and squint at some num­bers in your hand while wear­ing 3D glasses? Read The Hol­ly­wood Reporter’s review. Are you see­ing Spy Kids in the­aters? What do you think about 4D? Leave you com­ments below! Accord­ing to TVGuide.com, Nigel Lythoe (Amer­i­can Idol, So You Think You Can Dance) is in talks with The CW to set up a new singing com­pe­ti­tion at the young-skewing net­work, with his goal on find­ing the next big fam­ily singing group. Would you be inter­ested in watch­ing this show? Post your com­ments below! 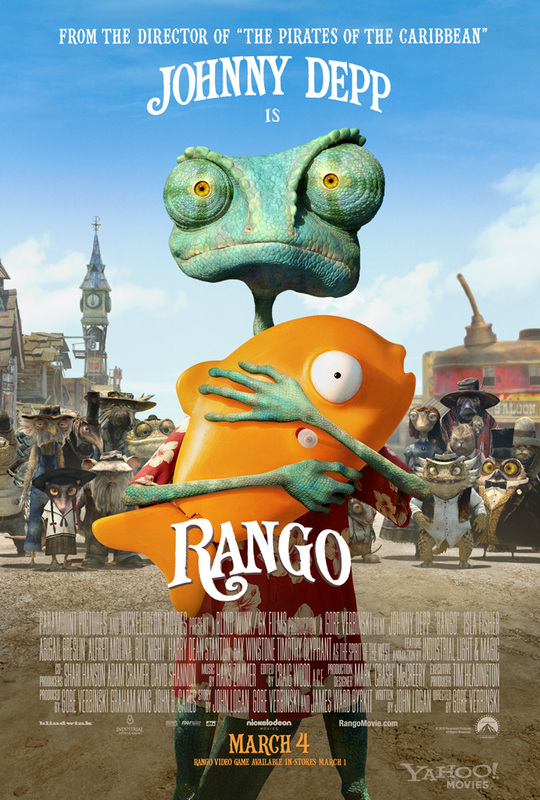 Have you watched Rango yet? Leave your com­ments below.